I am sure every first timer for safaris has experienced this caught between the headlights moment! Thrilled with thoughts of first safari in the park and want to spot some animals? Watch, where to look! Ever wondered where to look from a moving jeep when everything around is in notations of green. Appreciate the beauty or resolve the mystery of Tigers hiding somewhere close to you. Where to look actually? It was my first trip to Kanha National Park, indeed the most beautiful park of Central India. 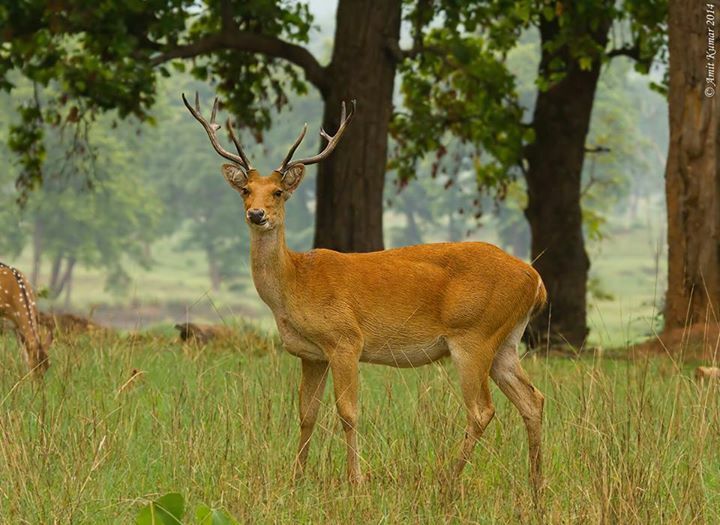 With its distinct vegetation of higher than high Sal trees giving Kanha a feel of a tall standing ancient forest. Fringes of grasses here and there and the bubbling urge to spot a Tiger amongst everything. The park is home to hard ground Barasingha (Swamp Deer) The 12 tine antlers of Barasingha in its golden summer coat is an equally rare sight. It’s a game to spot the animals in a jungle where anything can cross pass from everywhere, or just might sit so camouflaged that there appearance seems an avid discovery. It was not my first safari but I remember missing out on the obviously still animals despite the binoculars initially. After a few months well spent in the jungles I sense the cooperation between us. We do not promise a tiger sitting under bamboo thickets, or snakes slithering towards the vehicles, neither are we friends with the Bhaloo. But here is what we all can try. Most of the animals including Tigers are highly territorial and highly punctual. Look for disturbances in the forest, shrivel in the leaves, a movement in the bush. Keep your eyes close to the ground. No matter how much you try the naturalist will win hands down by spotting times more animals than you, but so many still go hidden. The tigers follow their territorial paths which can be easily tracked; the naturalist would most likely know these routes just as we know the habits of our pets. The eagles sit the same roost most often, the grazers will prefer to be in open grounds giving them a chance to see predators and vanish at sight. So next time you visit the park, keep the binoculars ready, look for right animals at right places. Spotting a tiger walking on road is sheer luck, but spotting a monkey on a fruit bearing tree is obvious. Listen to them quietly when the animals talk among themselves. Link the dots to understand the game, take the naturalist along. If not a tiger, there is still so much to see. Posted on August 5, 2015 by pugdundee blog. 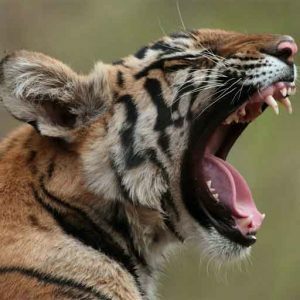 This entry was posted in Travel, Wildlife Safari and tagged kanha earth lodge, kanha national park, tiger safari in kanha, wildlife safari in india. Bookmark the permalink.